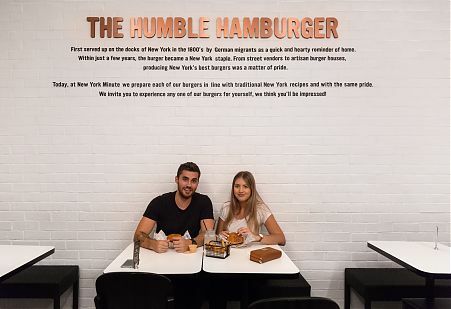 The first conversations we had with the owners of the New York Minute burger chain were about colours, lighting and furniture. 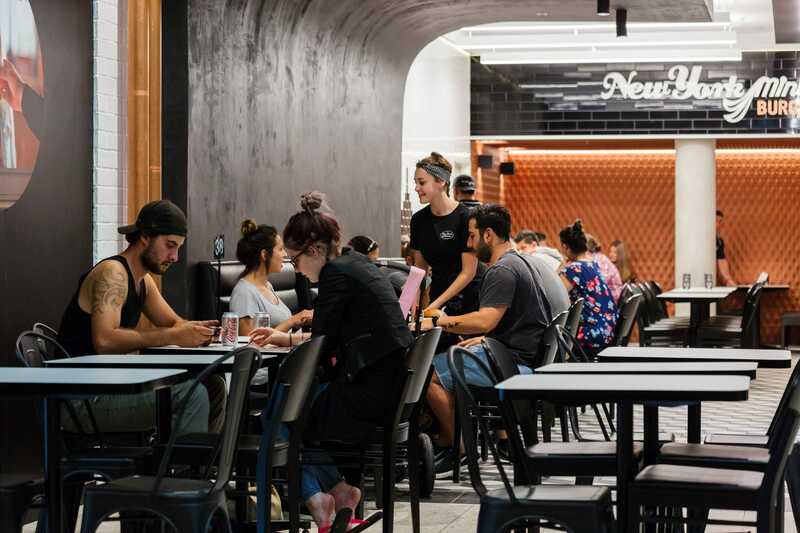 After collaborating on two of their stores, in Carlton and East Brunswick, we were asked to spearhead the creation of the franchise’s ‘off street’ outlet inside Highpoint Shopping Centre. From our first discussions with the owners, the name of their restaurants, ‘New York Minute’ was central to our approach. 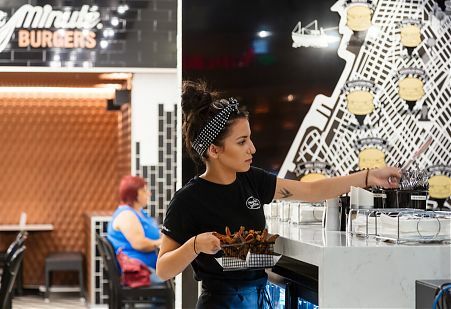 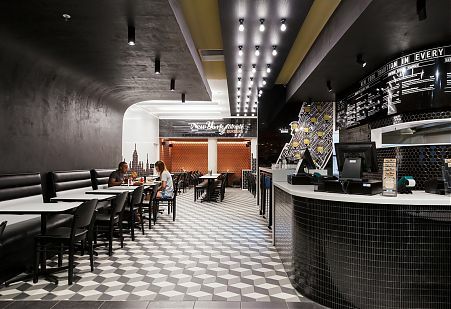 The vision became to create a stylish, glamorous space that would transport diners to the Big Apple: a mixture of Broadway, the art deco era and a classic American diner. Our approach was inspired by a re-interpretation of 1930s Broadway in the choice of lighting and a distinctive black and white palette. 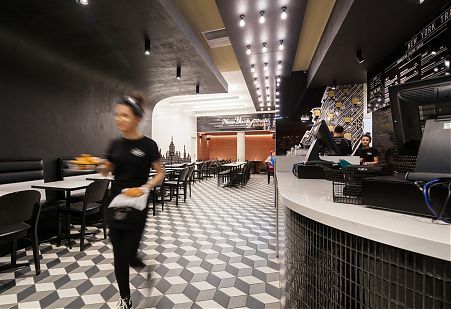 Tessellated tiles and copper cladding add glamour and style to theatrical effect. 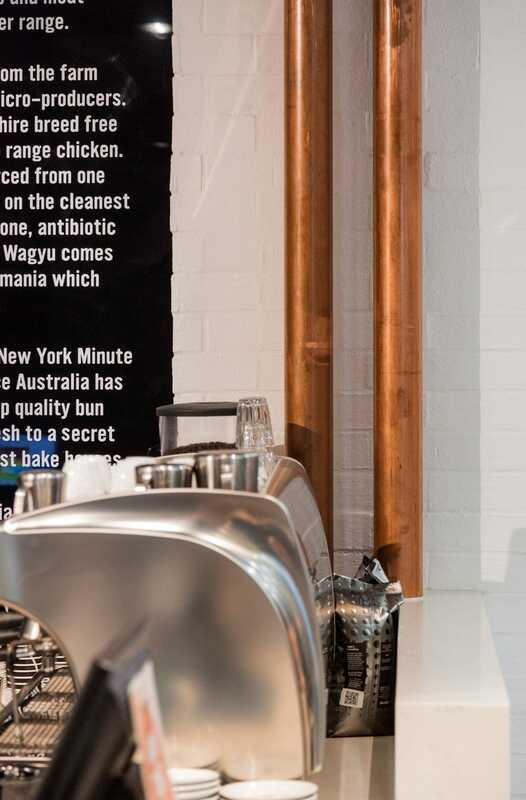 The result provides a real ’night on the town’ feel. 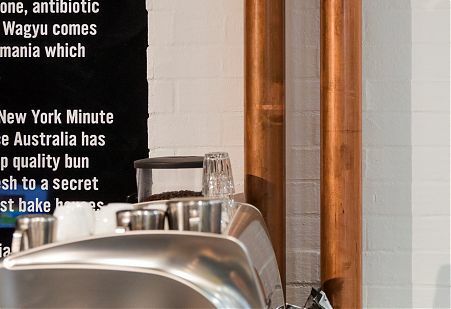 We worked closely with graphic designers Fox and Lee to incorporate the signage elements throughout. 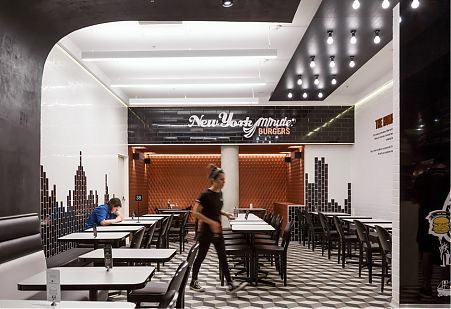 In keeping with the owner’s belief that people are central to the success of New York Minute, we incorporated an open line of sight between the kitchen and dining area, with plenty of room to accommodate busy interactions as customers order their food at the front counter. Turning a brand into an environment is something we believe we do well, and our work with New York Minute is testament to this. 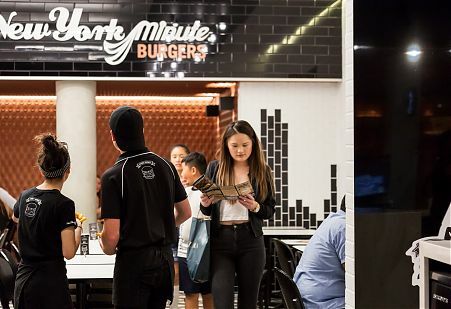 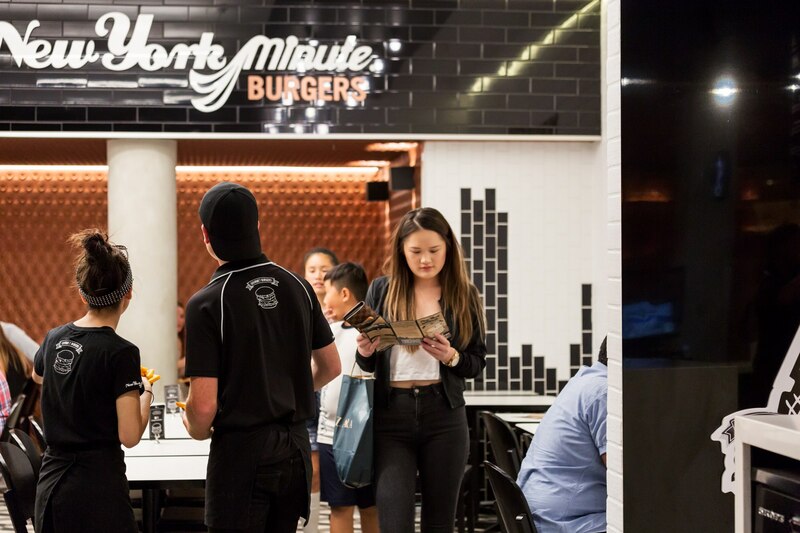 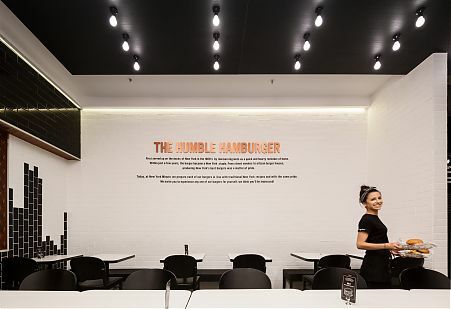 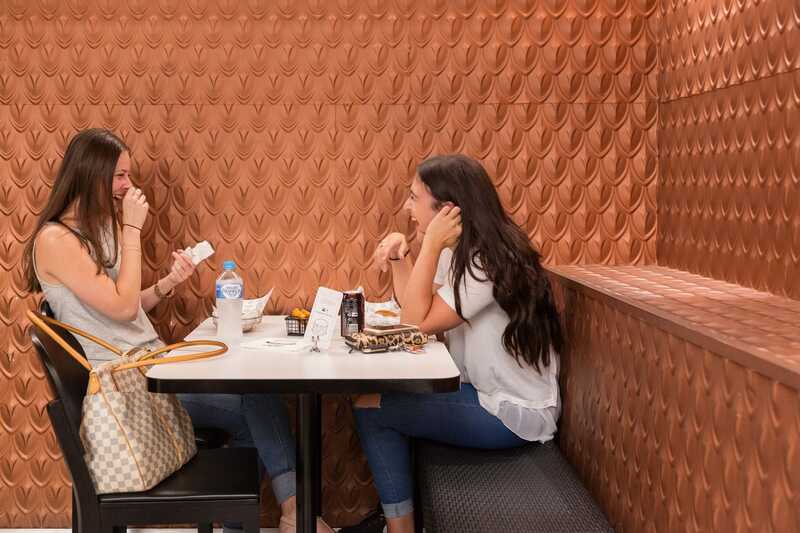 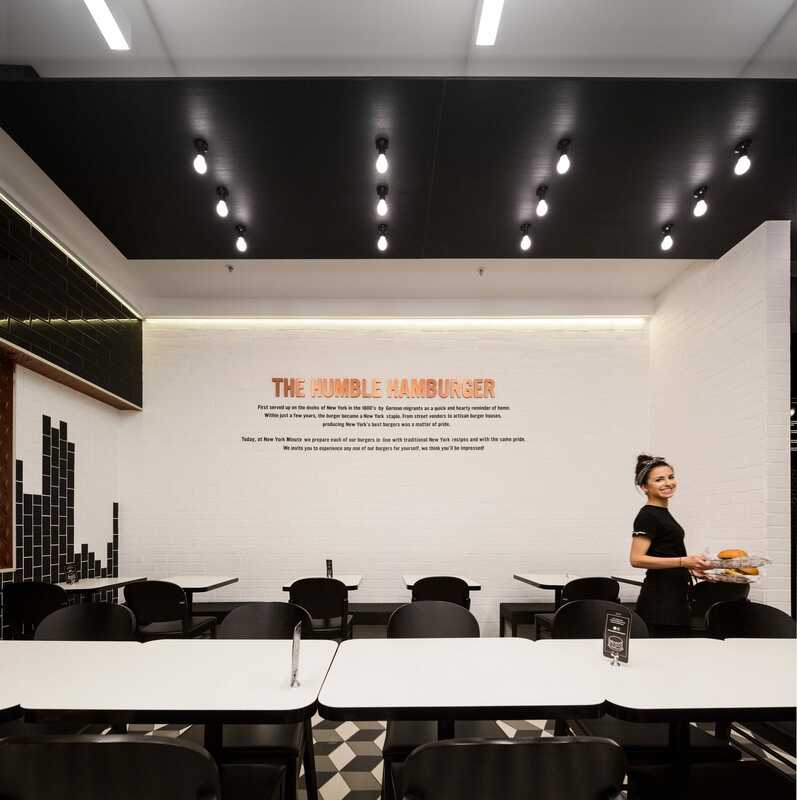 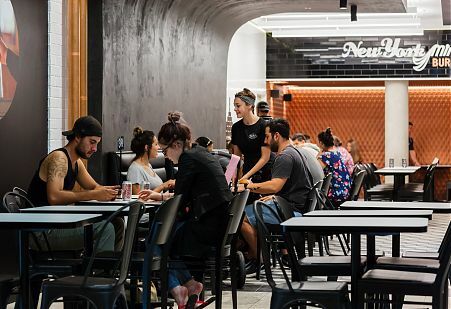 Working with New York Minute was an opportunity to create an environmental experience different to any other ‘hamburger joint’ in Melbourne, giving us the freedom to be more theatrical and more playful with materials, lights and the spaces we created.